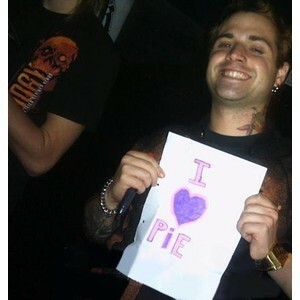 hahaha. . Wallpaper and background images in the अवेंज्ड सेवेनफोल्ड club tagged: avenged sevenfold johnny christ. This अवेंज्ड सेवेनफोल्ड photo might contain समाचार पत्र, कागज, पत्रिका, अखबार, खपरैल, अख़बार, चीर, and पत्र.